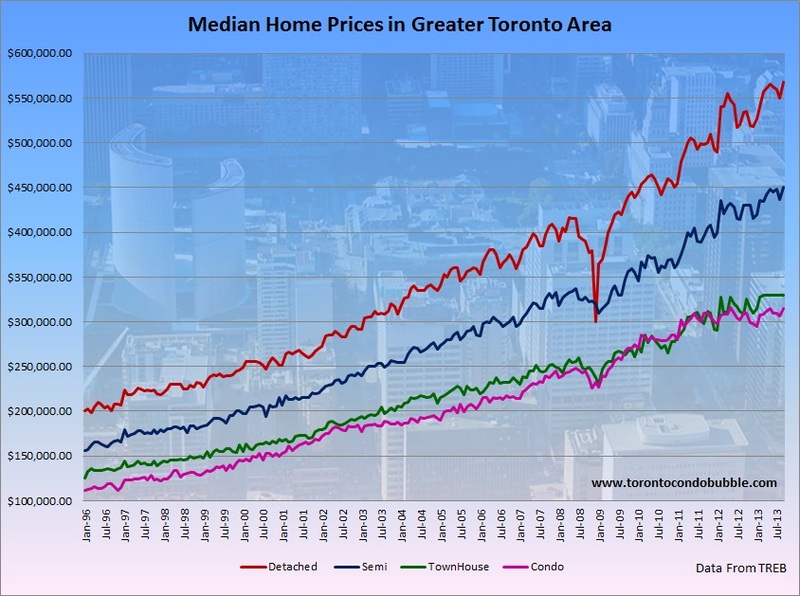 More bad news today as Toronto home prices edge higher and become more out of reach for young people. As real estate prices rise, first time home buyers end up paying more for a shoebox instead of investing money into things like education or paying off their student debt. 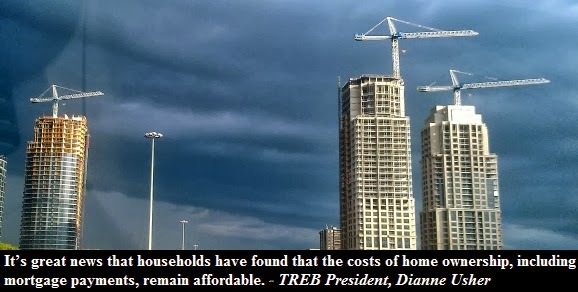 At the same time, the real estate cartel and others with vested interests seem to celebrate continuing housing appreciations as the first time buyers become enslaved with huge amounts of debt. The good news, (at least for the young) is that eventually this house of cards will fall down. 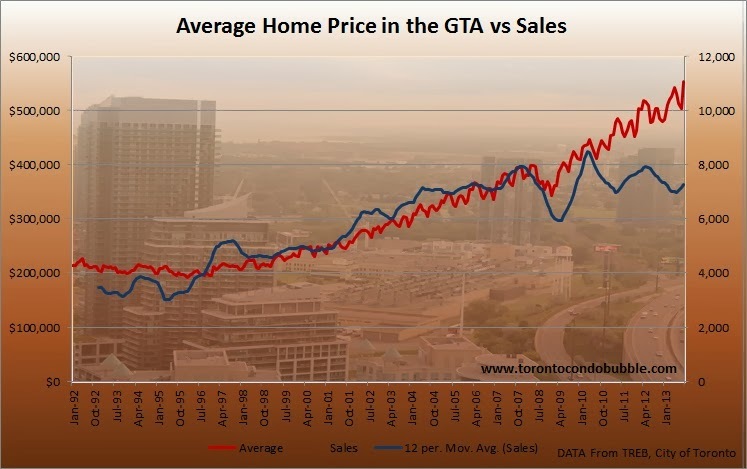 The Toronto housing bubble will burst and prices will return to normal. A normal where it doesn't take emergency interest rates to afford a condo. Yes, there will be economic hardship ahead as a result of this. But that is the price that our society has to pay for the decade of fake prosperity fueled by debt. 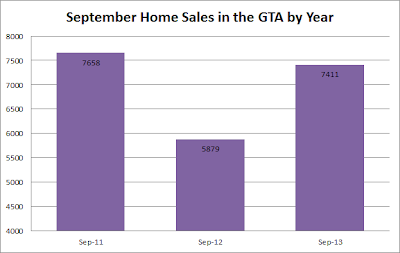 Anyway, let's take a look at the housing market in Toronto this past September. Of course the big news today was the rebound of home sales. 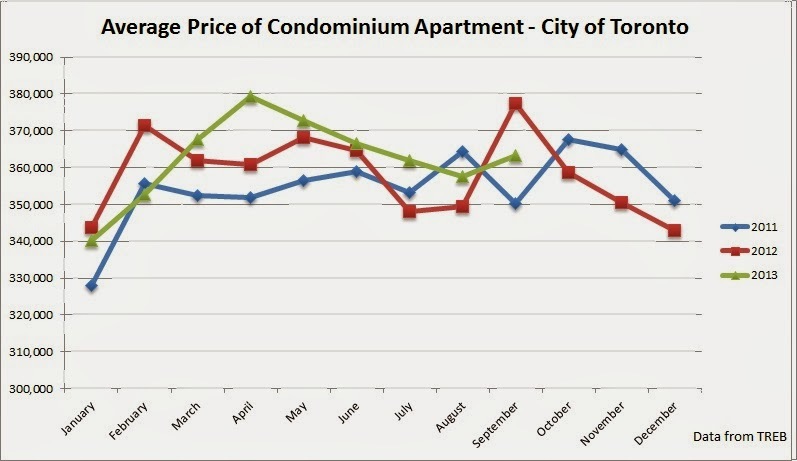 Detached home prices in the City of Toronto were up by 21% over the past two years. 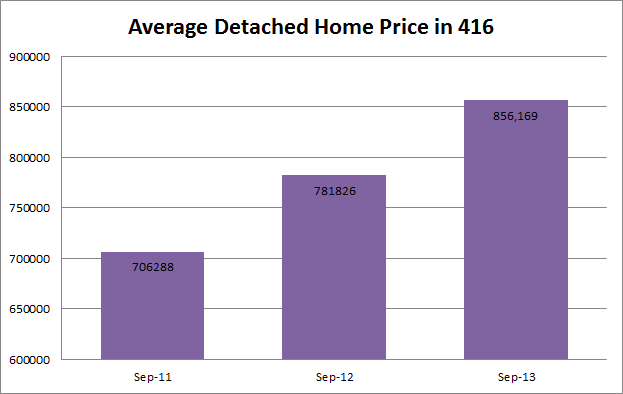 In other words, the average detached price went up by almost $150,000 between September 2011 and September 2013. 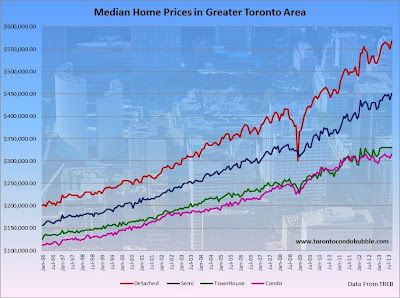 Below is the summary graph of the Toronto housing market by the market segment. The chart is updated through September of 2013. Condo prices in the City of Toronto were down -3.7% (average) in September 2013 compared to a year earlier while sales were up by 28.8% (TREB Reported 31.5%). 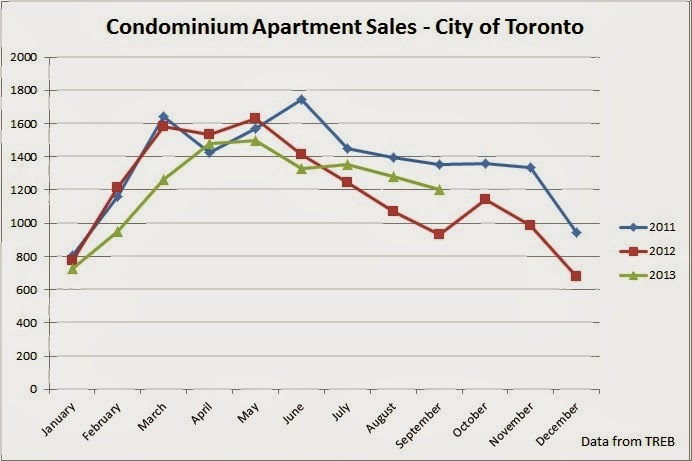 The median condo prices stood unchanged at $334,000. 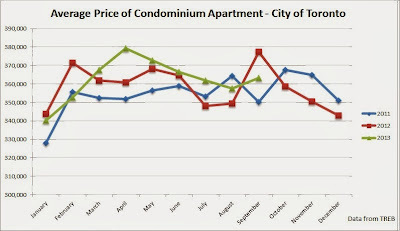 Condo prices were up by 2.9% (average) in the 905. 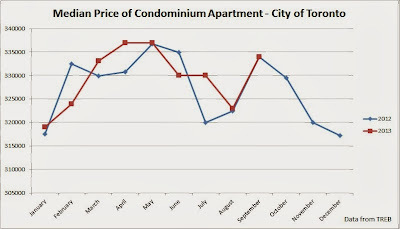 Overall condo prices have stagnated for the past two years. 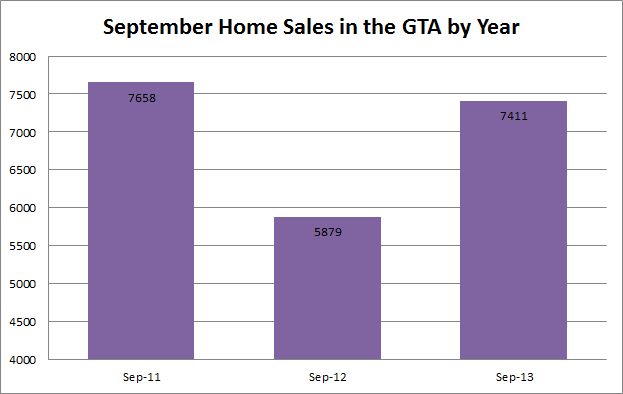 Finally, the average home price in the GTA was up by 6.5% this past September compared to a year earlier. The average home price in the GTA was $533,797 and $571,410 in the City of Toronto.